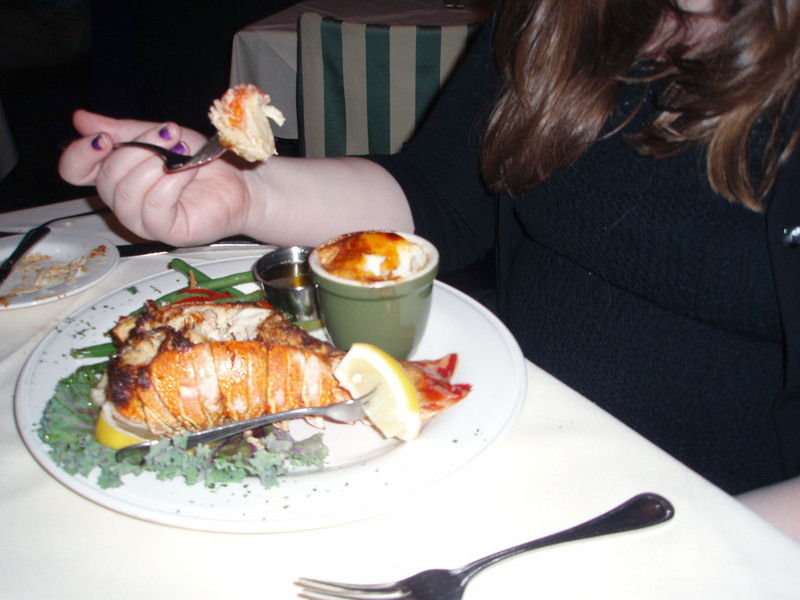 Lobster tail stuffed with crab Imperial. The Merion Inn in Cape May offers such decadence, and it is fantastic. Nice chunky pre-cut lobster mixed with luscious sweet crabmeat in a rich sauce. Crab imperial is essential crab salad with some bread cubes, broiled to bubbly perfection, so this is similar to Lobster Thermidor with crabmeat added. It made me look askance at my surf ‘n turf, and wish I’d gotten mine stuffed with crab! The filet was perfectly cooked and very tasty, too. It’s pricey; this ain’t Maine, and the Merion has jazz piano, it’s not a roadhouse style seafood joint. 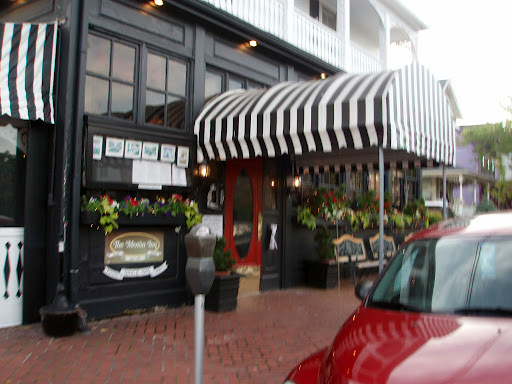 But if you’re in Cape May, I’d go here for my special occasion instead of the more historic Blue Pig Tavern. The crab cake sandwich there was bland and forgettable. Two lobster tails, a bottle of wine and some delicious appetizers like cheese pastry cigars, and bluefish mousse might run over a yard and 3/4 with tip, but you’ll love it, and remember it.